Weather is getting warmer and warmer and so is our mood. Before we hit the first days of summer there is one important thing we have to do. Apart from the exhausting work-outs and multiple dits, it is very crucial that we update our closets. And of course, what is a fashionista’s closet, if is free of the hottest pieces? This is why you ought to read on and find out what items to look for in the shops. Below are four incredible articles of clothing which have to be on your shelves as well. If you worked out hard during the last couple of months or over the course of the year, then you can easily go for an off-shoulder crop top. This awesome piece will serve you multiple goals. First, it shows off your slender shoulders and by all means leaves a decent amount of intrigue. Also, the crop fit of the top reveals your tuned midriffs, which is always nice, isn’t it? After all, why were all these diets and push-ups? Lastly, such an adorable piece helps you stay cool on a hot summer day, as you are taking a walk in the park or having lunch with your friends. There are no limits in terms of color palette – your saucy item can be in a bright shade, some fancy print or just absolutely plain. It is also very easy to match other pieces of your outfit with this hottie. You can opt for flare pants in pastel, skinny jeans, skater skirt or denim shorts. Just make sure that you style your ensmeble with striking accessories. Here is an item that can be easily paired with your all-fancy crop top. A flare midi skirt is an absolute essential of this summer. Such a piece adds up a romantic touch to your look – an image that has not hurt anyone so far. Besides, what can be more inspiring than the hem of your skirt floating in the air as the light breeze moves everything around. 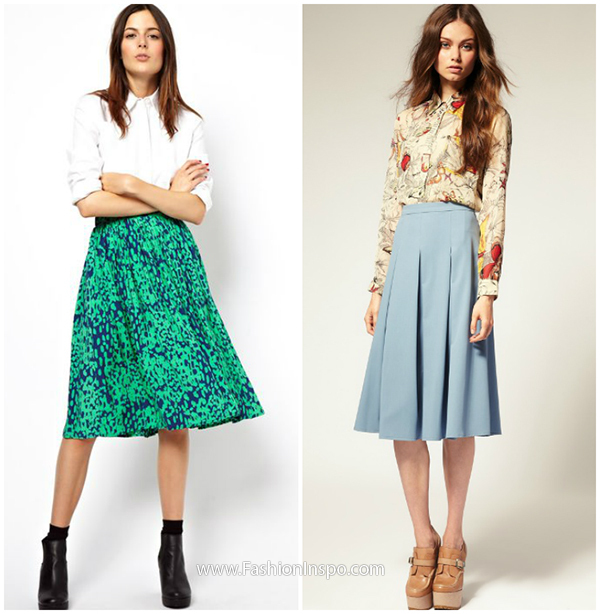 A midi-skirt is a perfect option for any event in your super busy life: be it a fashionable party, official roundtable at your office or just a sunny day outside – you will definitely rock. Apart from the crop top you can also combine this piece with chiffon and satin shirts, rock T-shirts and tank tops. The footwear choice shouldn’t be a problem either: flats, pumps, sandals, wedges, ankle straps – whatever you feel comfortbale in. And it does not matter at all,what color your skirt is. As long as you love it, the world is your oyster! 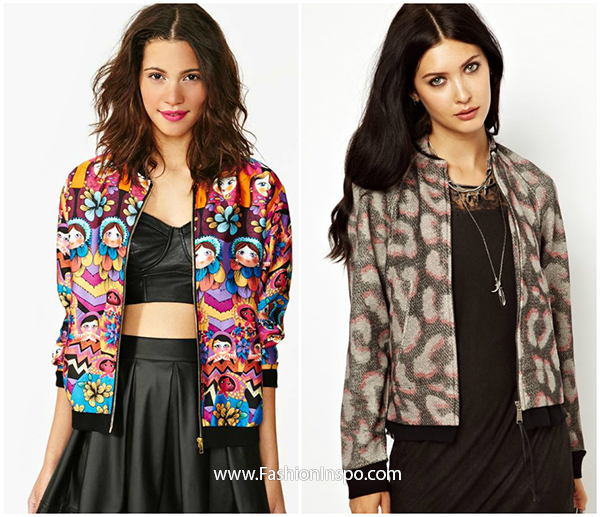 Bomber jacket has always been loved and praised by us, hasn’t it? Yet, there is a slight change to the rule: from now on it is necessary to rock the jackets with outstanding prints and designs. Forget about the old-school black and white ones. Monochrome is no longer delicious. Now we are learning how to serve this stylish piece in a different way. If you a big fan of vibrant looks, then you ought ot have a multicolored jacket with a doll pattern all over. You might think that summer itself is quite bright and there is no need to add any extra accents. In this case, there is also a fantastic solution for you. Animal prints by all means have been on our agenda for quite a while. However, it is time to make some innovations. For instance, the pattern can feature larger designs and the color doesn’t necessarily have to correspond with the wild world inhabitants. And lastly, what kind of summer are we talkingn about, if there is no room for a dress? These two notions are more interconnecetd that anything else in this world is. When else, if not on a lovely summer day, can you demonstrate all your advantages in a hot frock? Yet, this time it is not a regular dress that we all are obsessed with. Just like Apple and Samsung keep updating their products, fashion designers also contuniue their path of development. While there is no so much room for improvement, some still manage to come up with brilliant ideas. 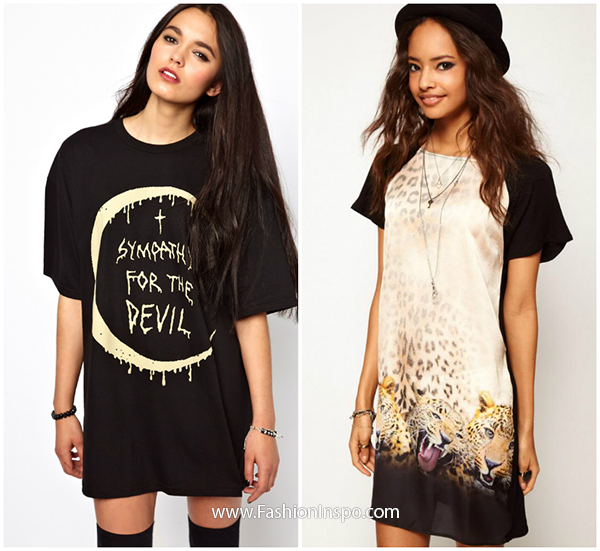 For example, a T-shirt dress is a result of synthesis between a dress and T-shirt. Sounds not so convincing, but this combo is worth dying for. For one thing, it usually comes in a very bold length. So here is another chance to show off you slim legs. Moreover, the T-shirt dress looks incredibly creative and stylish, so you can easily gain the title of the most fashionable lady in the neighborhood. And lastly, it is definitely very easy to wear and accessorize this piece. The best thing about all the four must-haves is that you actually can combine the peiecs and create various looks. The only concern here would raise with the accessory part, but it should not be a huge issue either.